The market for initial public offerings (IPOs) is red hot this year. Smart investors are likely wondering how to profit from IPOs in 2018. Today, we're going to share what Money Morning Defense and Tech Specialist Michael A. Robinson has to say about how to profit from IPOs in 2018. First, let's do a quick review of the IPO market – and answer a perennial question: Are IPOs a good investment? For the economy, IPOs serve to motivate entrepreneurs (and those who back them) to begin new companies. They are part of what ensures great – and continuous – innovations. For the stock market, IPOs represent exciting new opportunities to invest in and new cash for the markets. Dealogic reported that in the first half of 2018, roughly 120 companies went public, raising more than $35 billion on U.S. exchanges. Not only is the IPO market strong in a way that's healthy for the economy and stock market, it's being led by the technology and biotechnology sectors, according to Renaissance Capital, an IPO research company. Approximately 60% of all the IPOs over the last year have been tech and biotech. One reason is that U.S. President Donald Trump's tax overhaul reduced corporate tax rates and incentivized firms to bring back cash from overseas. Tech companies now hold the largest cash hoards they have ever had. And they are putting it to use backing new companies that eventually go public. Another reason is that venture capital is pouring money into tech companies, and they expect to get paid back through IPOs. U.S. IPOs backed by venture capital hit nearly $7 billion midway in 2018. That's the second largest amount ever. The only larger amount was in 2012, the year of the Facebook Inc. (Nasdaq: FB) IPO. 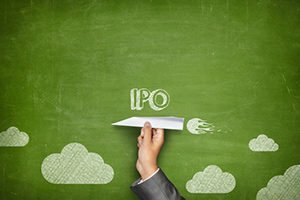 Now, are IPO investments good for the portfolios of retail investors? As Money Morning has long said, IPOs can be risky for retail investors – especially tech IPOs. There are several reasons why this is so. IPO shares are offered to large, institutional investors first, such as pension funds and hedge funds. Especially for hot IPOs, the large investors can bid up the price before retail investors get a crack at purchasing the shares. And IPOs can be very volatile after the IPO period is over. Examples abound of hot IPOs that fell shortly after the offering. Many investors don't use protective strategies, such as a limit order to make sure they don't hold IPOs when they fall.